Copyright © Peter Andresen - This image is copyrighted. Unauthorized reproduction prohibited. 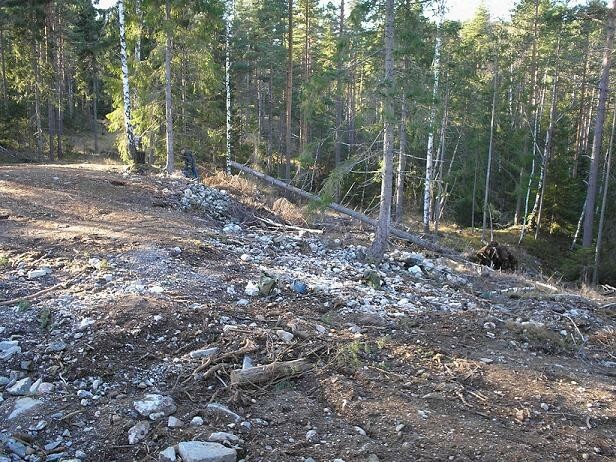 Part of the dumps, partly covered by a forest road going over them. Photo taken 3. Nov. 2007.